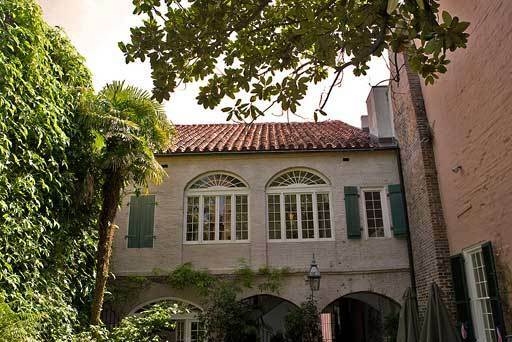 In his over 40 years living in New Orleans, famed playwright Tennessee Williams resided in several French Quarter locations. 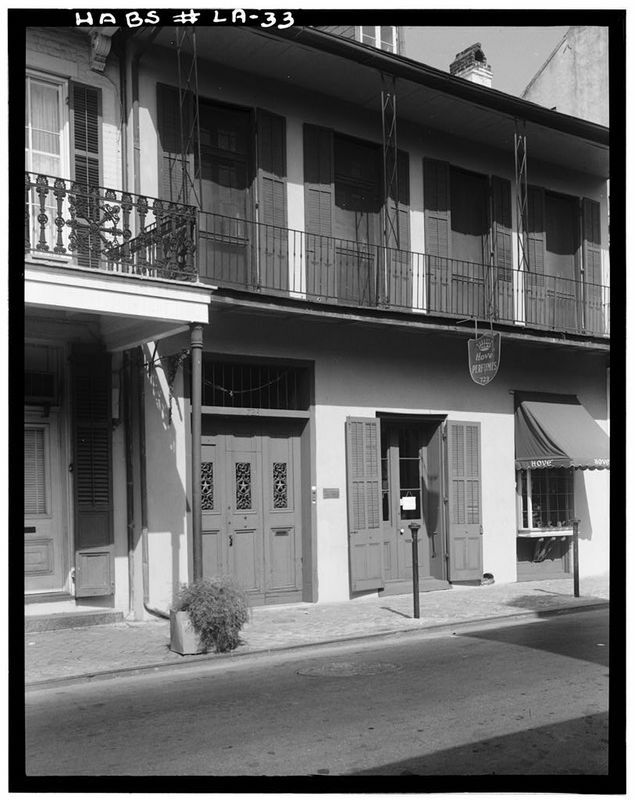 Arriving in New Orleans in 1938, a 28-year-old Williams rented a room at 431 Royal Street and later at 722 Toulouse Street. The Toulouse Street location represents a transitional phase for the young playwright, who was figuring out his identity as a writer. While at 722 Toulouse, Thomas Lanier Williams experimented with different names, including Valentine Xavier, which upon reflection Williams said “seemed a bit pompous.” The young playwright finally settled on Tennessee Williams, the name that would stick with him for the rest of his life. In correspondence to his family, Williams repeatedly suggested that he had relocated to New Orleans to work for Lyle Saxon at the Federal Writers’ Project (FWP). However, in a letter to his mother dated Tuesday, February 21, 1939 (coincidentally Mardi Gras Day), Williams reported that New Orleans had nothing to offer him and that he and a new friend named Jim Parrott were on their way to California. Despite Williams’ claims of seeking employment with the FWP, there is no known evidence of any correspondence between Saxon and Williams. 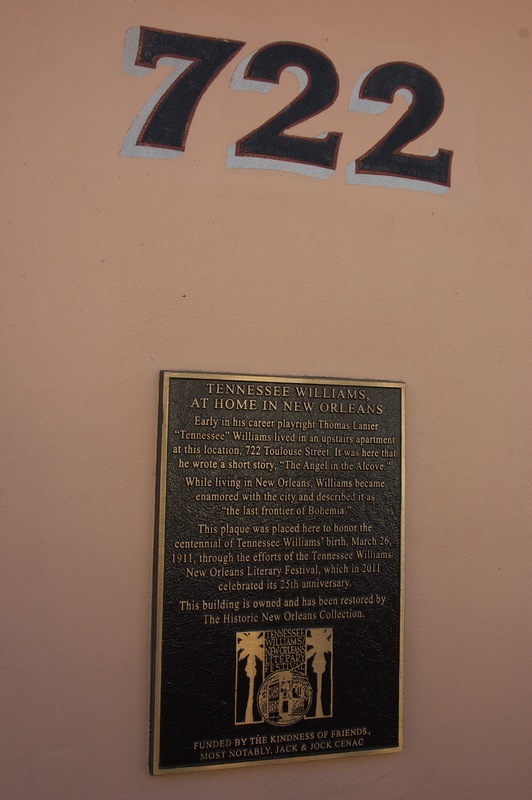 Years after first moving in, Williams’ apartment at 722 Toulouse Street served as the setting for his play from the late 1970s, Vieux Carré. Many writers have commented on the importance of the space to the play. For instance, Rodney Simard wrote, “The construction of the play suggests that the house itself, more than any particular character, is the protagonist.” Williams also drew from stories and events during his time at 722 Toulouse Street for inspiration. For instance, one event in Vieux Carré that supposedly mirrors an incident in Williams’ real life is a dramatic moment when his landlord became frustrated about a loud party occurring downstairs. In response to the noise, she allegedly poured boiling water between the floorboards. The landlady’s actions prompted someone to call the police and everyone, including Williams, went to night court. 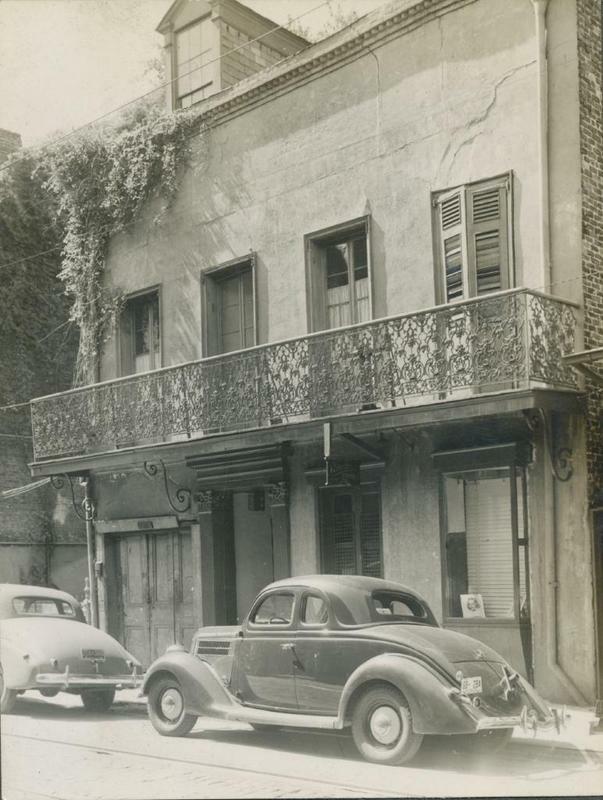 In 1945, years after Tennessee Williams moved from 722 Toulouse Street, Lewis Kemper Williams and Leila Williams, of no relation to the playwright, purchased the building. This couple founded the New Orleans-focused archive, The Historic New Orleans Collection, in 1966. 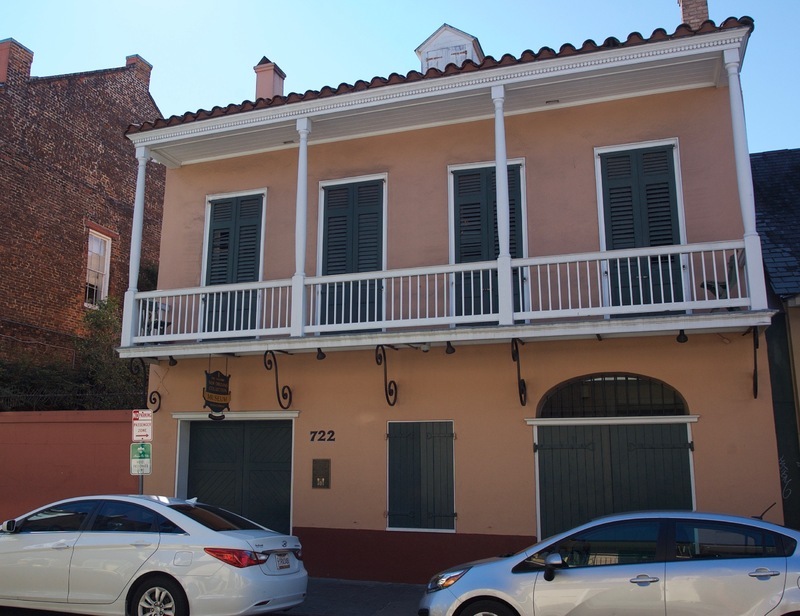 Many of their French Quarter properties, including 722 Toulouse Street, are now part of this compound. Currently, The Historic New Orleans Collection houses a variety of Tennessee Williams materials, including a 1973 script of Williams’ Vieux Carré. 722 Toulouse Street, ca. 1930s: A photo of 722 Toulouse Street that is thought to date to the 1930s. At the end of the 1930s, Williams made his way to New Orleans and, shortly after, to an apartment in this building. ~ Source: The Historic New Orleans Collection, Gift of Mrs. Solis Seiferth, acc. no. 1985.120.141. The staircase leading up to Tennessee Williams' room. 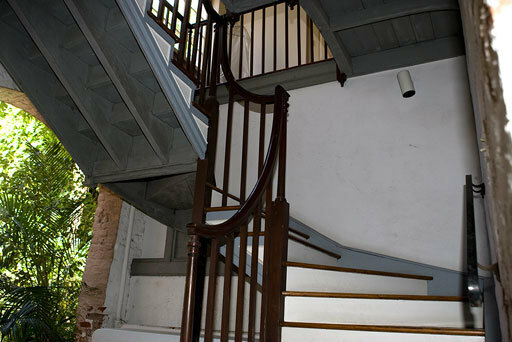 : A photo of the staircase leading up to Tennessee Williams' room. ~ Source: "Staircase to Tennesse Williams's room." Digital image. 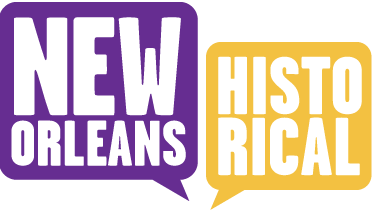 Historic New Orleans Collection. Accessed December 18, 2015. http://www.hnoc.org/visit/buildings_louisadams.html. 722 Toulouse Street, 1959: A photo of the street front to 722 Toulouse Street in 1959. ~ Source: "1. Historic American Buildings Survey Richard Koch, Photographer 1959 FRONT (SOUTHWEST) ELEVATION - Valery Nichols House, 723 Toulouse Street, New Orleans, Orleans Parish, LA." Digital image, Library of Congress. Accessed December 18, 2015. http://www.loc.gov/pictures/item/la0021.photos.072736p/. 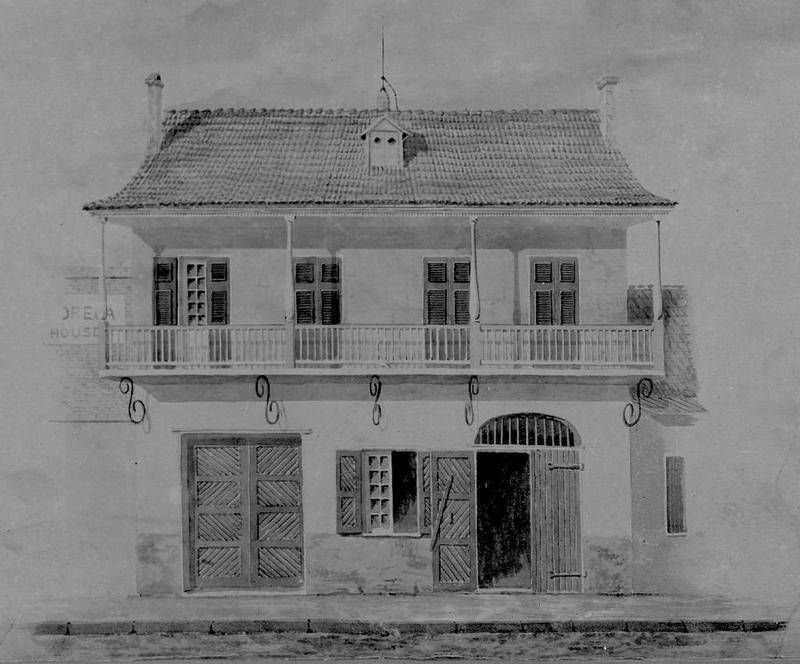 An 1852 illustration of 722 Toulouse Street. ~ Source: The Historic New Orleans Collection, acc. no. 1955.38. Rear view of 722 Toulouse Street. ~ Source: "rear view Louis Adam house." Digital image. Historic New Orleans New Orleans Collection. Accessed December 18, 2015. http://www.hnoc.org/visit/buildings_louisadams.html. 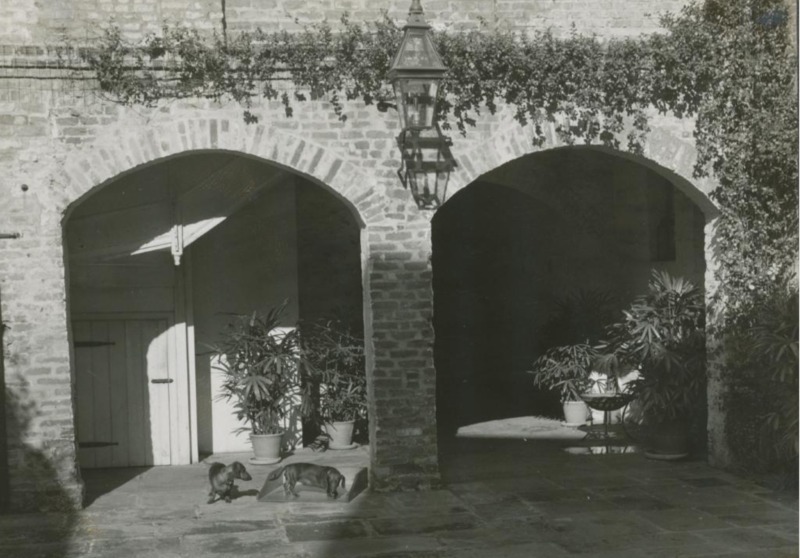 Courtyard, 720-724 Toulouse Street: The courtyard of Tennessee Williams' former apartment at 722 Toulouse Street in 1953. ~ Source: The Collins C. Diboll Vieux Carré Digital Survey at The Historic New Orleans Collection. William Archambeault, “Tennessee Williams' Early Days in New Orleans,” New Orleans Historical, accessed April 24, 2019, https://neworleanshistorical.org/items/show/957. For more about holdings regarding Tennessee Williams at The Historic New Orleans collection, see http://www.hnoc.org/collections/tw/twpathindex.html.Ball, Millie. “A Grand Salute to Tennessee.” The Times-Picayune. March 25, 1988. Don, Keith Lee. “New Tennessee Williams Rises From ‘Stoned Age’: But He’s Still King of the Playwrights.” The Times-Picayune. October, 18, 1970. Pope, John. “Freedom He Found in N.O. Made City Home to Tennessee.” The Times-Picayune/The States-Item. February 26, 1983. Simard, Rodney. “The Uses of Experience: Tennessee Williams in ‘Vieux Carré’”. The Southern Literary Journal 17.2 (1985). University of North Carolina Press, 67–78.